For a mere pittance you can grow your collection significantly! Looking to beef up your Android library considerably? 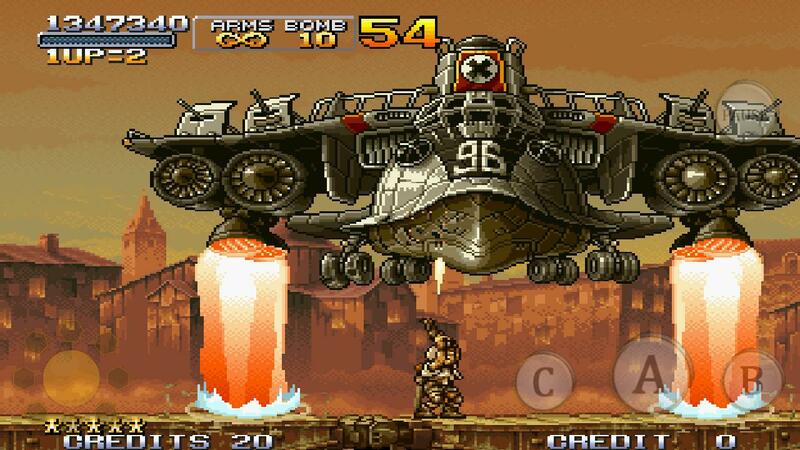 You might want to plunk down some cash on the Humble Bundle for Android pack, which includes several awesome NEOGEO classics just dying for a new home. For the low, low price of "what you want to pay" (pay as much as you can to support these bundles!) you get Garou: Mark of the Wolves, Blazing Star, King of Fighters '97, Metal Slug 2, and Metal Slug X. If you pay more than the average buyer, you can also throw in Fatal Fury Special, Samurai Showdown II, and Metal Slug 3 into the mix. At the time of this writing, that's just a mere $4.66, so if you want a cheap package of awesome SNK titles, for a little less than a fiver you get 8 different games, with more games coming soon. Over 15,000 titles have sold at the time of this post, so it's a pretty lucrative deal. Get in on it while the getting's good and check out these great SNK games!